God, what a trip. I finally got back from the Sundance Film Festival a few days back, and now I’m sick because of the trip. I’d go into detail about the trip but that’s for another post in the future. For now, I need to speak about the two films I saw while I was there, the first being one of the few films at Sundance that I truly wanted to see. Boyhood has been a film that I’ve been following for over half a decade now. Richard Linklater started shooting the film back in 2002, and his plan was that he would showcase the same actors in the same roles for the next 12 years, as the film follows a young boys growth from kindergarten to college. The only recognizable names in the film are of Ethan Hawke and Patricia Arquette. A week before Sundance started, Boyhood was added into the festival, and I was ecstatic to see the picture. I got up very early during my stay and saw the film at 8:30, and now I give you my review of Richard Linklater’s Boyhood. 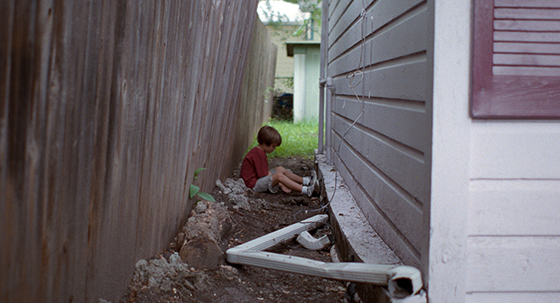 Boyhood follows the story of Mason, played by Ellar Coltrane. We first see Mason as a young boy living with his mother (Arquette) in Austin, Texas. Mason and his sister, Samantha, played by Lorelei Linklater, then move to Houston, where they are able to spend time with their father, played by Mr. Hawke in the picture. Throughout time Mason’s mother gets remarried, along with their father, and it is all told through the eyes of Mason, whose in every scene of this film. That’s really all there is too this film in turns of describing the plot, but the film is so much more than just that. Even though the film feels small and is small, this is a true American epic, in several ways. The ambition around the film counts for one, along with the near three-hour runtime on the film, which happens to be Mr. Linklater’s longest film to date, and the film feels long and you feel that length, but it doesn’t make the film feel less special, as the length makes the film feel all the more memorable and real. You are watching this boy’s life unfold right in front of your eyes, which is something that has never been done before in mainstream storytelling of this kind. It will take you a little bit to gather all of your thoughts about this film, but in the end you should probably end up thinking what I do. Boyhood is one of the best films I’ve seen, period. This is Richard Linklater’s best film he’s ever made, outside of his Before trilogy, and quite possibly the best film about life in Texas, ever. What Mr. Linklater did with this film is that he would shoot about two-three weeks of footage once a year, and then he would continue a year later, and so on. What Mr. Linklater also does is that he chooses little things that make you feel immersed into the selected years. In the beginning, the music that plays is of Coldplay, Weezer, and so on. At one point Ethan Hawke as the father tells his children how bad the Iraq War is, and how bad of an idea it is to go to war. And it’s these little things that help people like me remember that previous decade, and how news and the culture influenced the way we thought and looked. The same can be said for the actors in the film, as Mason transforms physically from this cute kid to a bit of a Goth in his teens, and the same can be said for his sister in the film. And that’s what makes the film so fascinating, is that you see all of this through Mason’s eyes and you understand his confusion, his sadness, as he goes through life in the 2000’s. Ellar Coltrane has had small roles in the past (including a few other Linklater films), and his debut starring role is one of the best in recent memory. The final scenes of Mason going to college, you feel that sadness and happiness that he has gotten to the finish line, after all we had been through together in 3 hours. You feel as proud as the people around Mason feel, and it’s a great feeling. There are very few movies that can make you make you feel emotion like that, and who better than Richard Linklater to do something like that? I loved Boyhood, and I pray that this film will find a large audience whenever the film is released in theaters. IFC Films has been writing the checks for this film for years, so they will put the film in theaters when the time is right, hopefully before the end of this year. Even though it’s early in the year, I think Boyhood will be very well-remembered come December. When Boyhood is released, I more than encourage you to see this picture. Sure, I only saw this and one other film at Sundance (that “other” film will be reviewed soon), but for those two films that I saw, the trip was all worth it. February 1, 2014 in 2014 Film Reviews, Film Fest Coverage, Movie Reviews, Sundance Reviews. I was an extra in this movie! Did you see me?